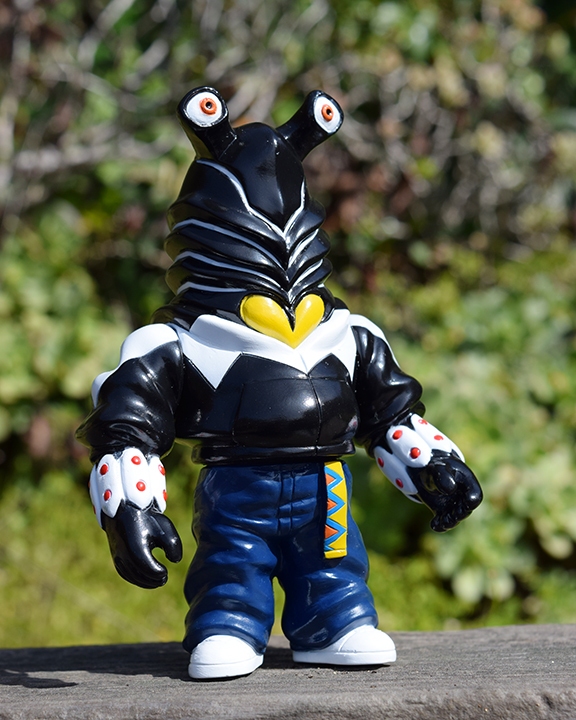 Our brand new Alien Pega ( Ultraman Geed TV show ) makes it’s USA debut ! 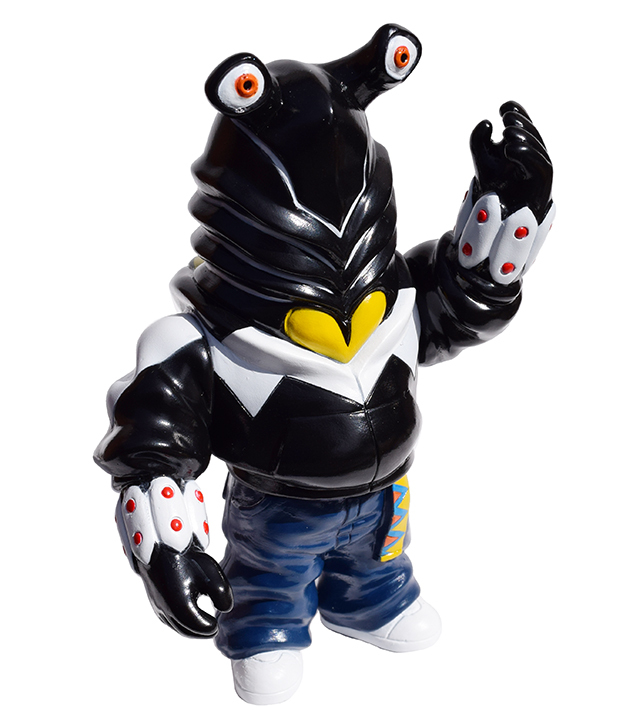 Officially licensed by Tsuburaya Pro Japan, Alien Pega stands about 5.25 inches tall and is articulated at the arms and waist. 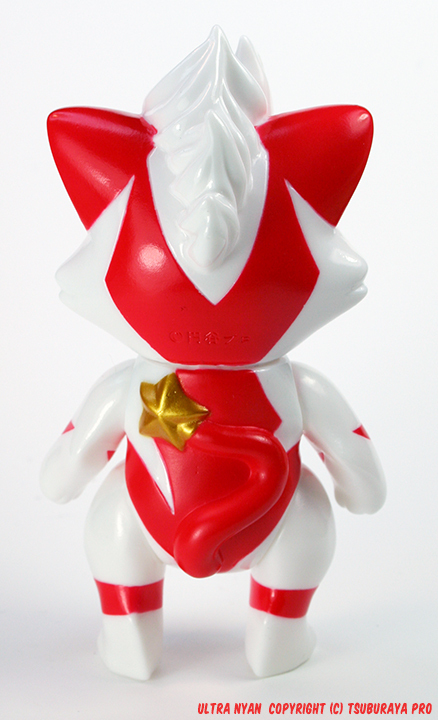 Expertly sculpted by Makino-san of TToys with coordination/production by Yo Miyamoto. 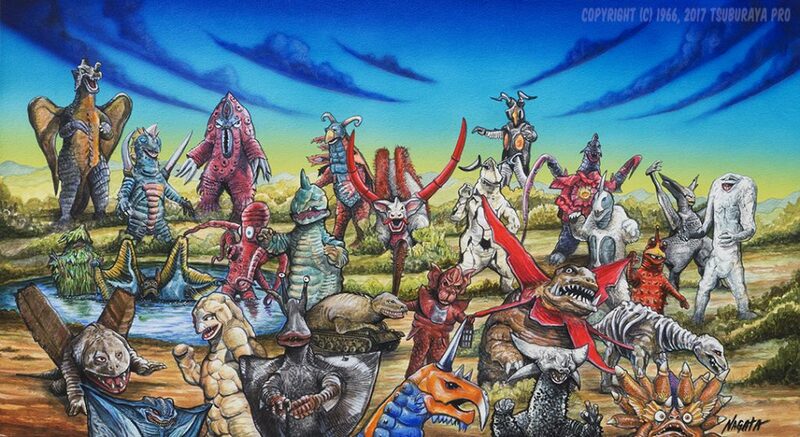 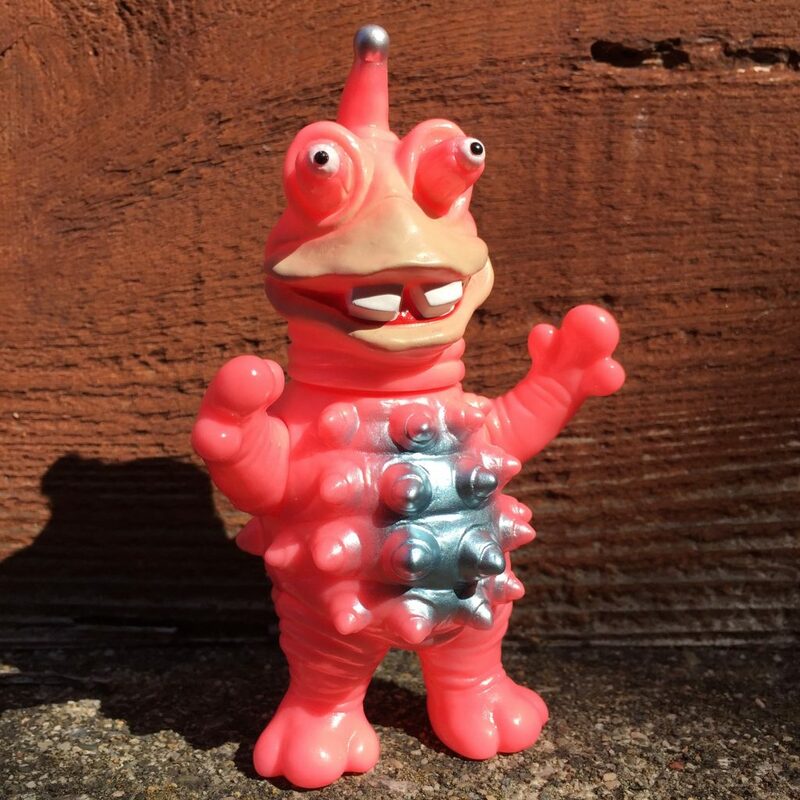 Our next USA offering is this crazy Kaiju from Ultraman 80 TV series ( episode 39 ) , called Tetsuon ! 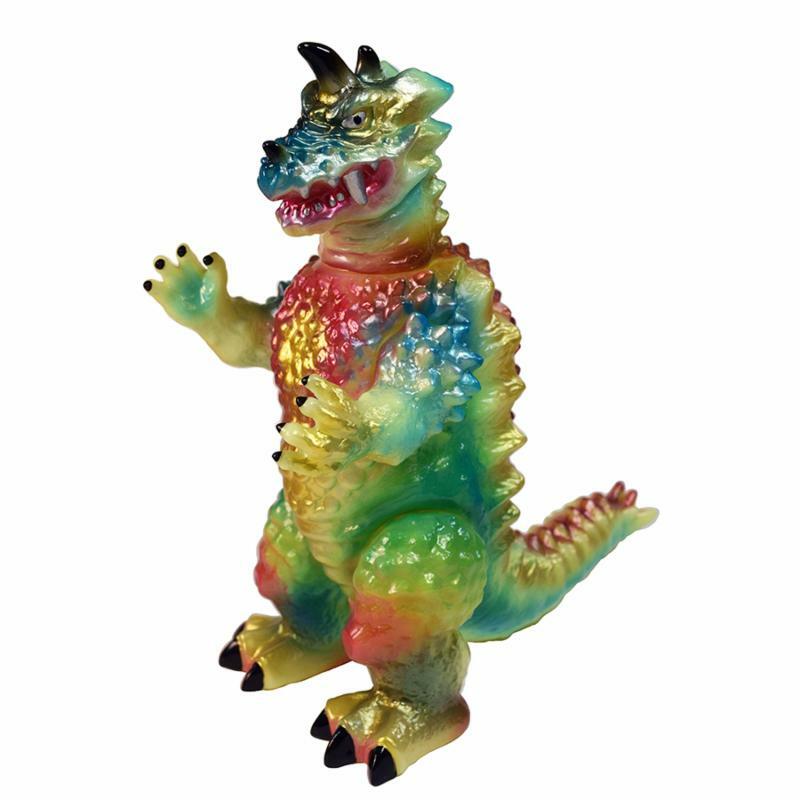 Licensed through Tsuburaya Pro Japan, we present “Kaiju Soko” series ( kaiju warehouse ) Figure is sculpted by PicoPico and stands aprox 4.25 inches tall, jointed at the arms and head. 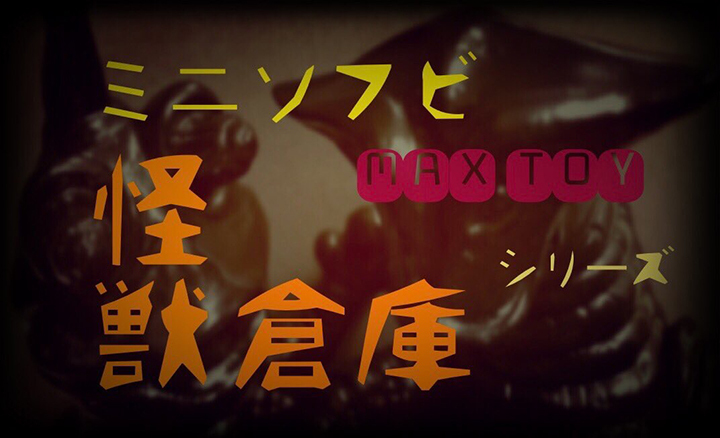 Coordination by Yo Miyamoto. 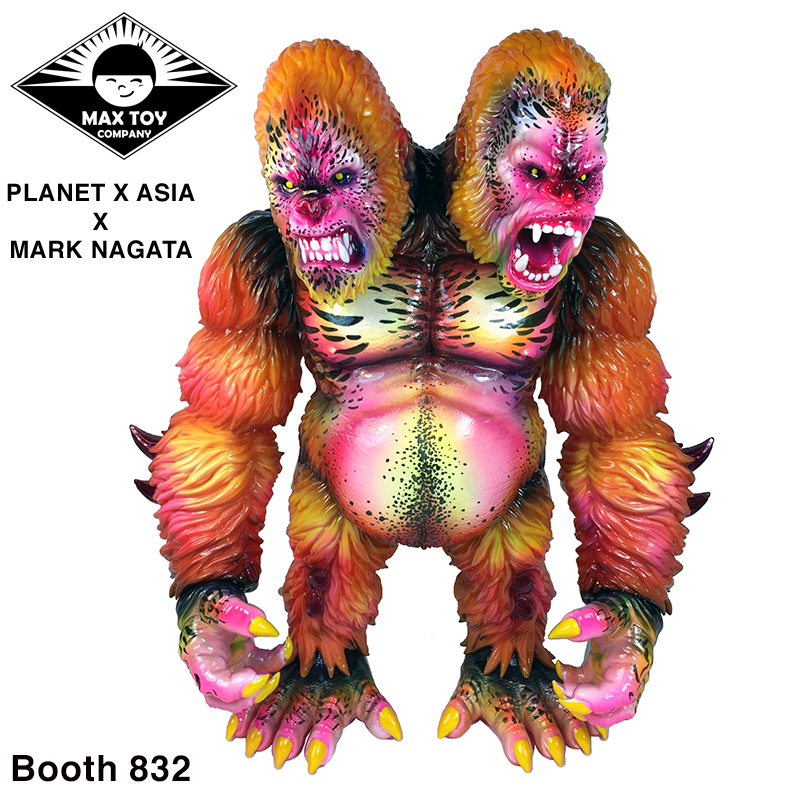 Each comes bagged with header art by Mark Nagata ! 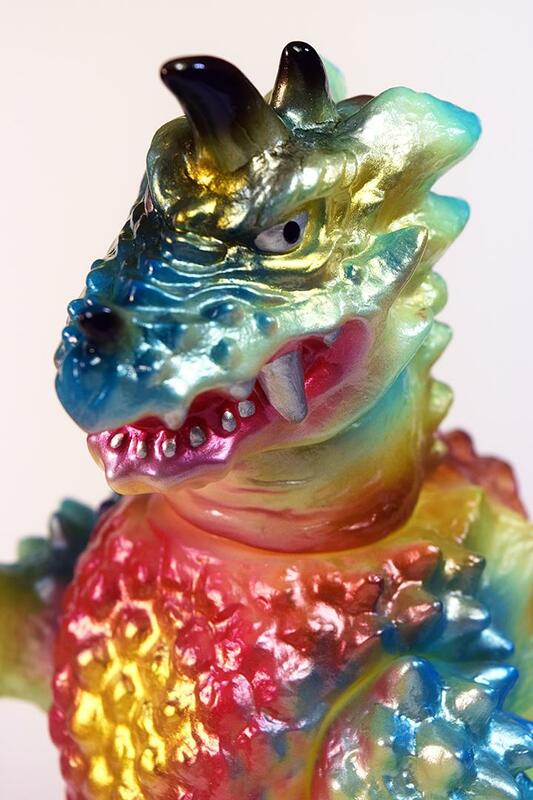 Fully cast and painted in Tokyo, Japan. 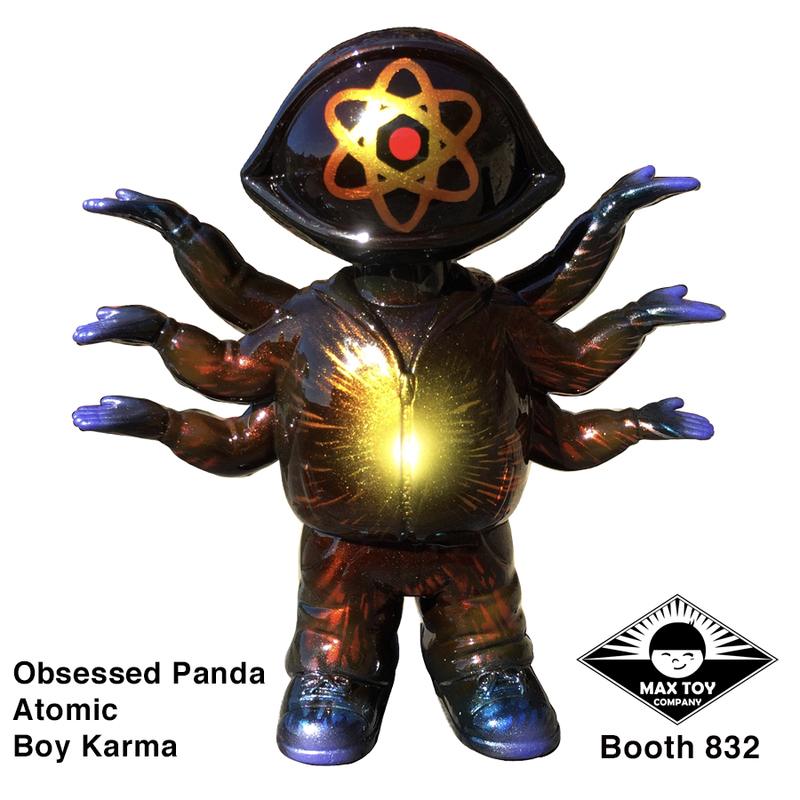 Limited quantities so don’t wait ! 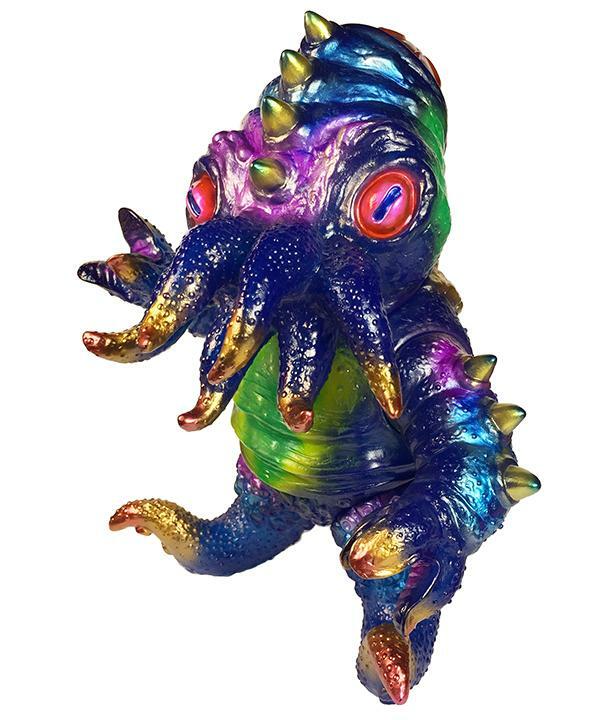 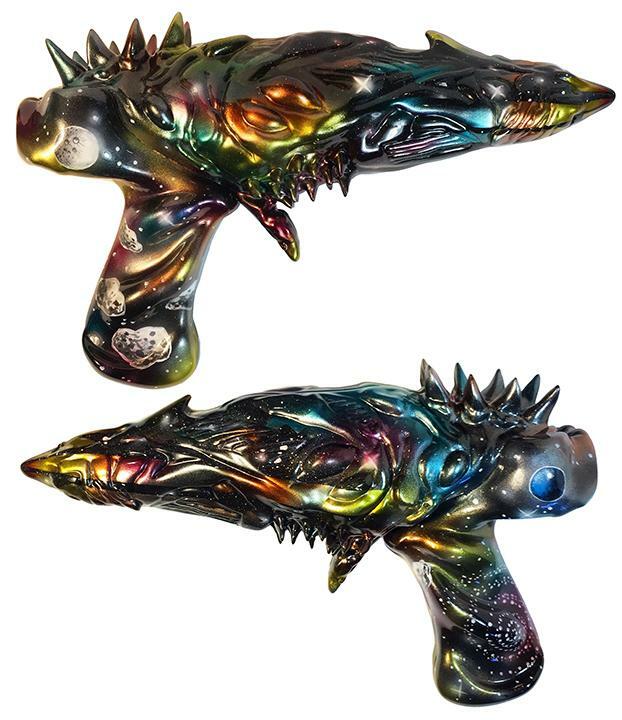 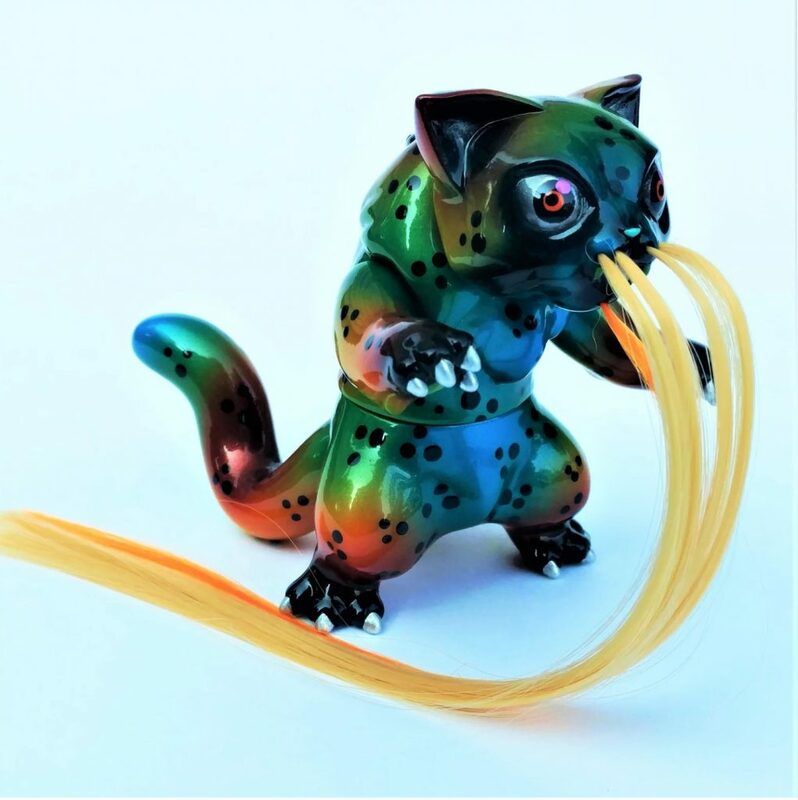 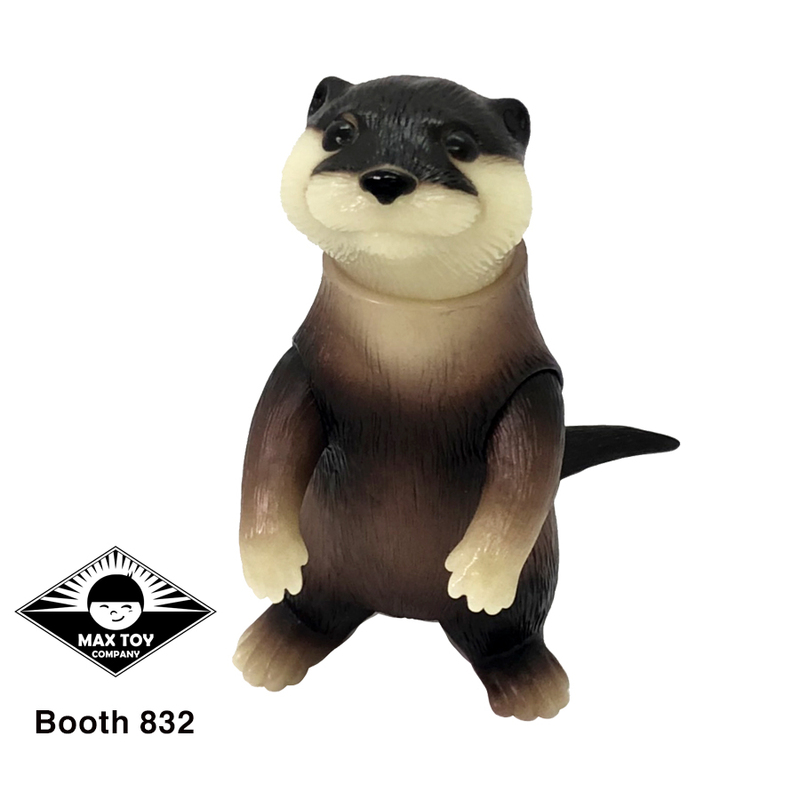 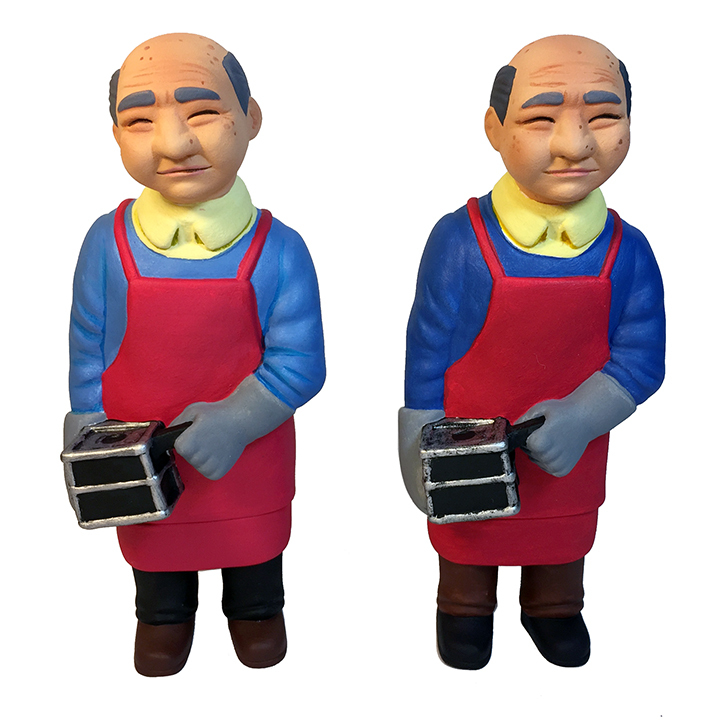 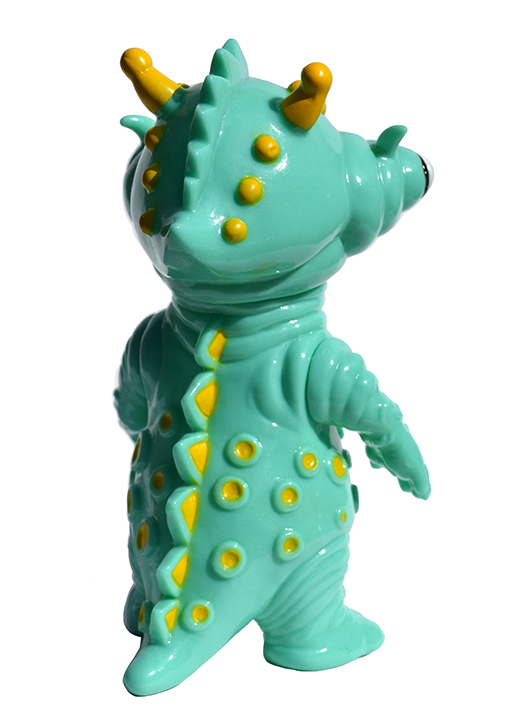 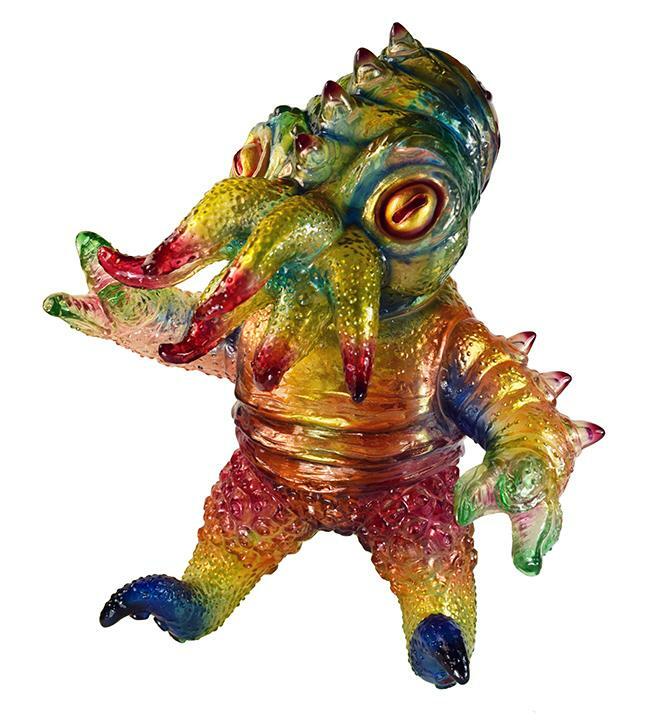 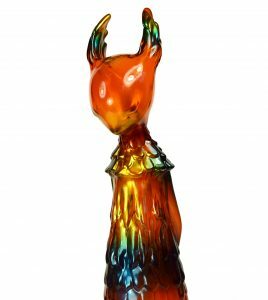 Our new Kaiju Soko ( Kaiju Warehouse ) sofubi series now available in the USA ! 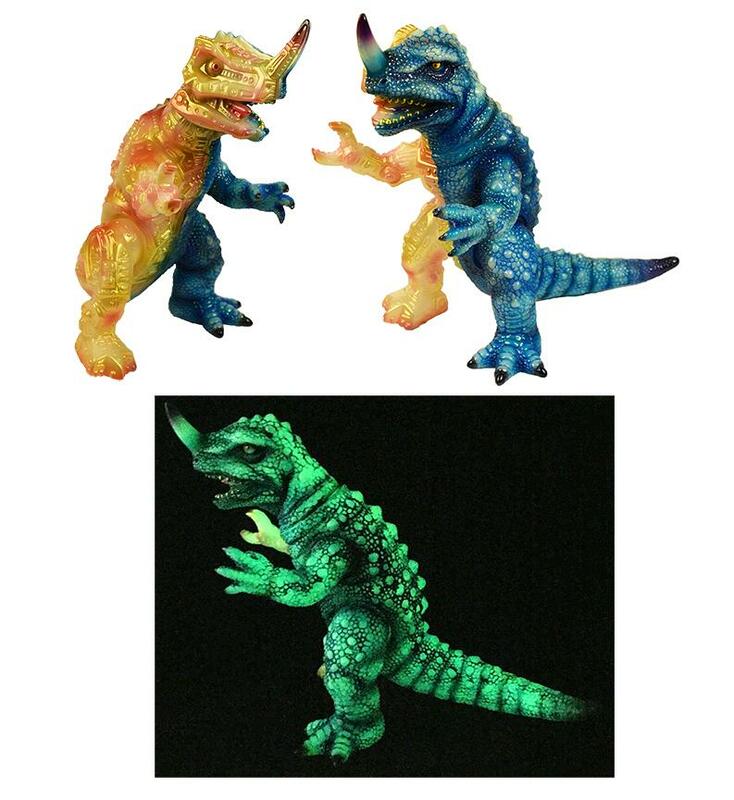 The warehouse refers to the old place that Tsuburaya Pro use to house all their Kaiju and Hero suits. 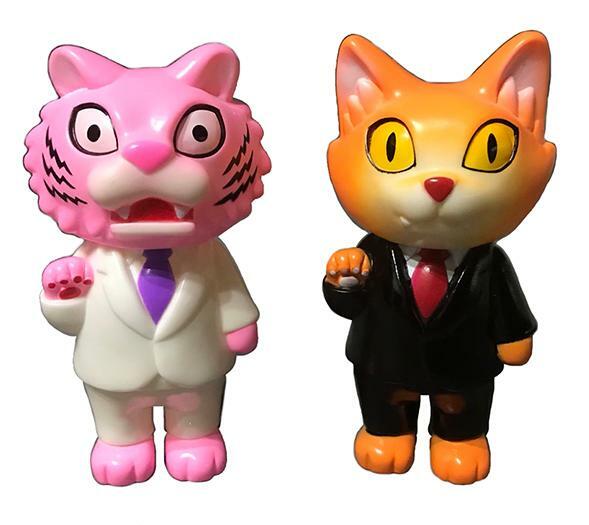 Figures sculpted by Pico Pico, with Production Coordination by Yo-san ! 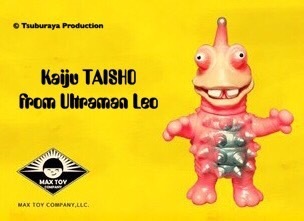 Our first USA release is Kaiju Taisho from Ultraman Leo. 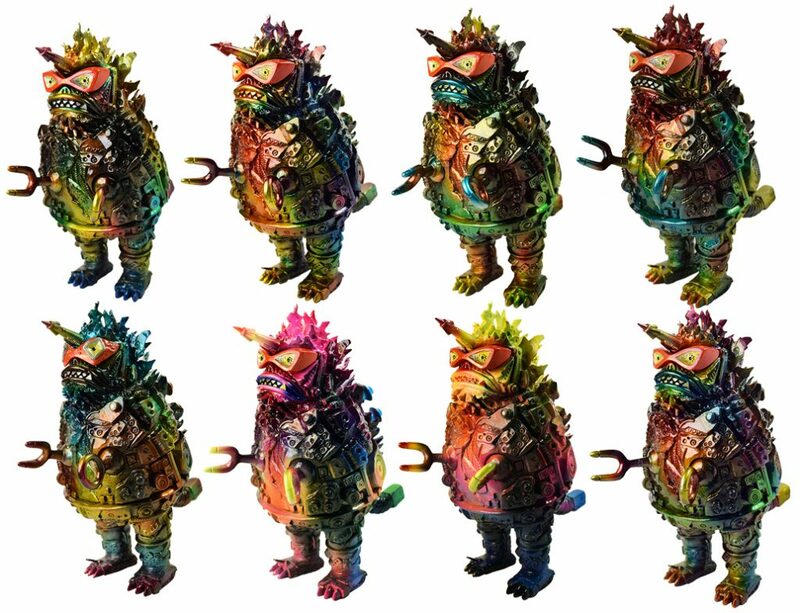 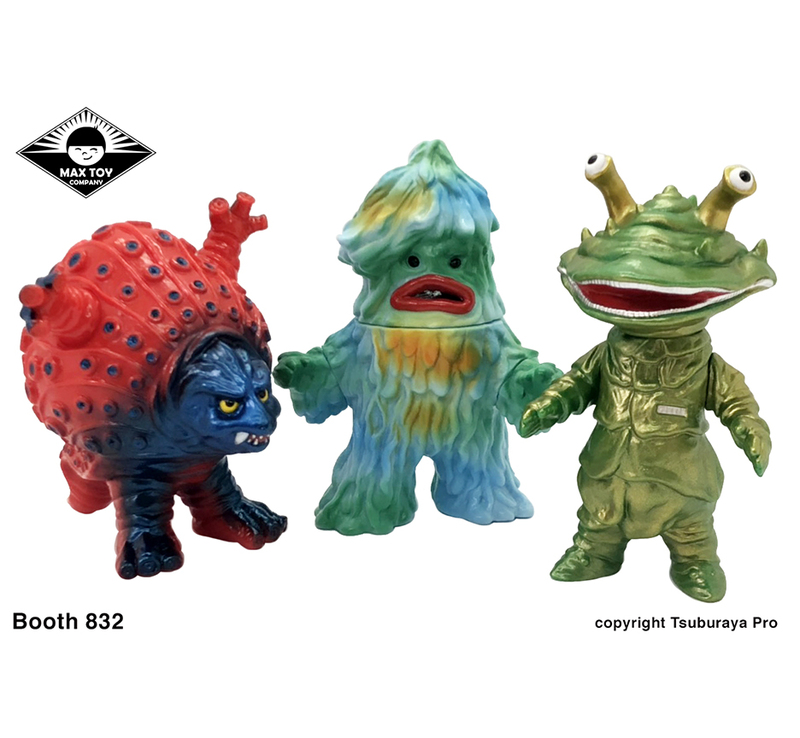 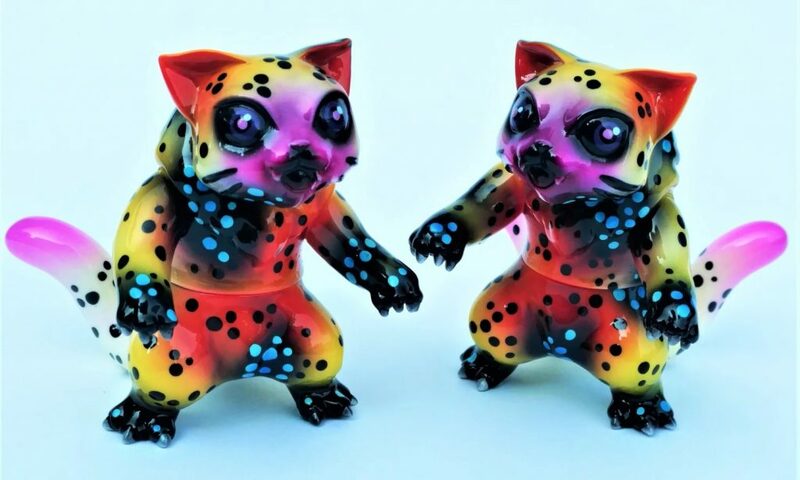 Making their debut at the upcoming Superfest show in Tokyo, Japan is our new Kaiju Soko ( Kaiju Warehouse ) sofubi series. 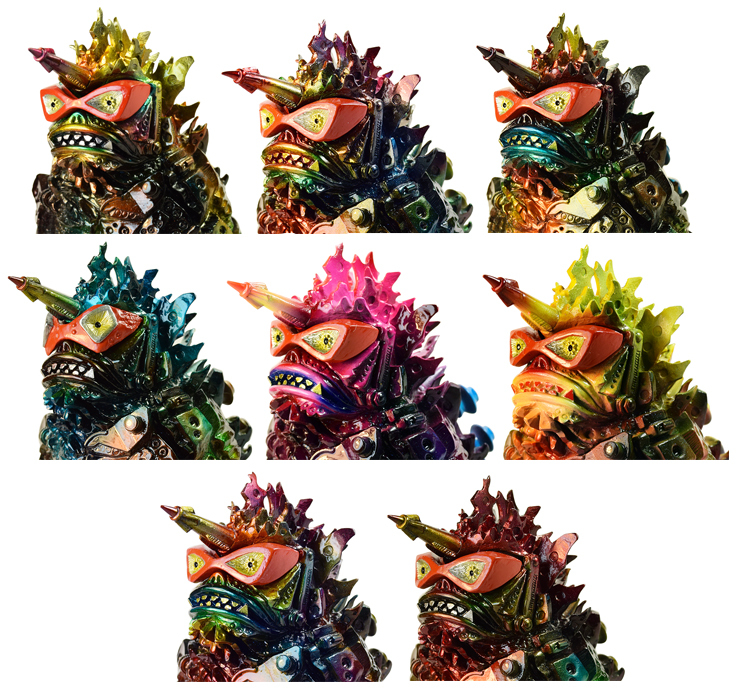 The warehouse refers to the old place that Tsuburaya Pro use to house all their Kaiju and Hero suits. 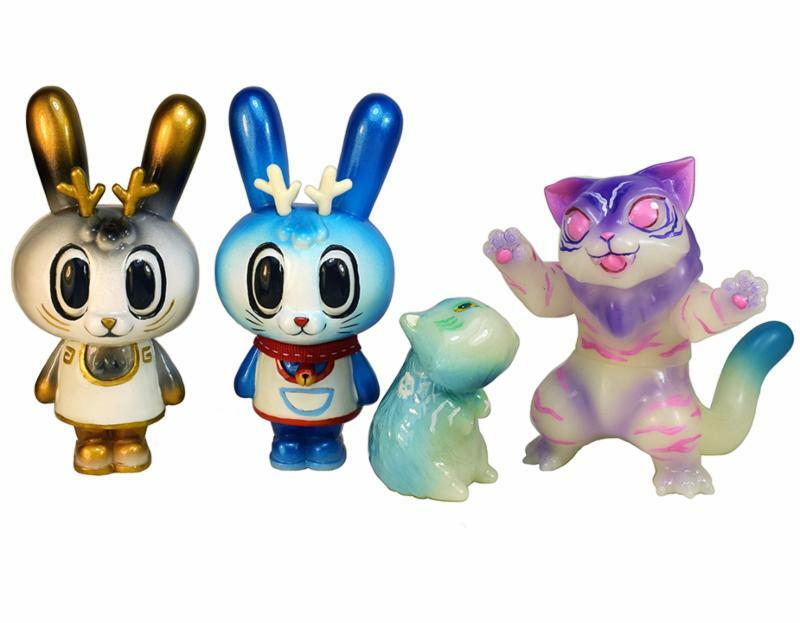 Figures sculpted by Pico Pico, with Production by Yo-san ! 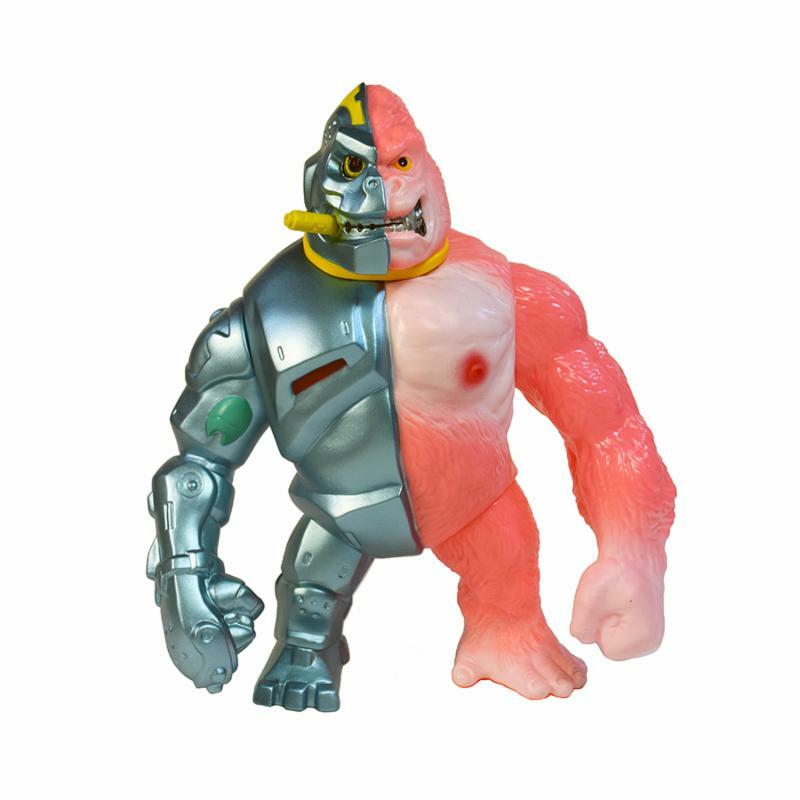 Let side is Sadlar from Ultraman Jack ( Japan sales only ), while the right side is Taisho from Ultraman Leo ( sales in the USA soon ). 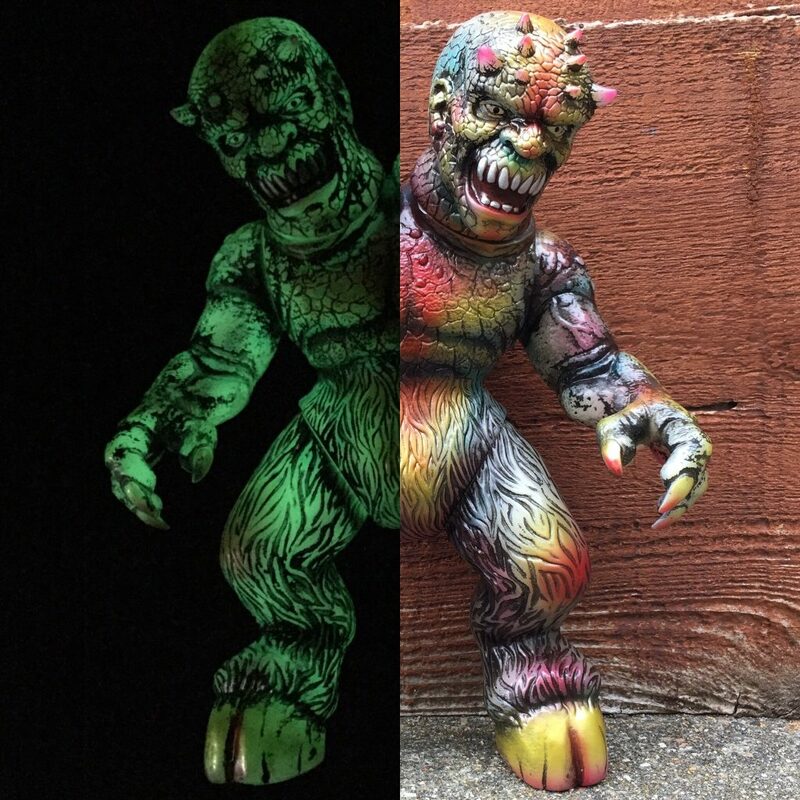 Both figures will debut at Superfest. 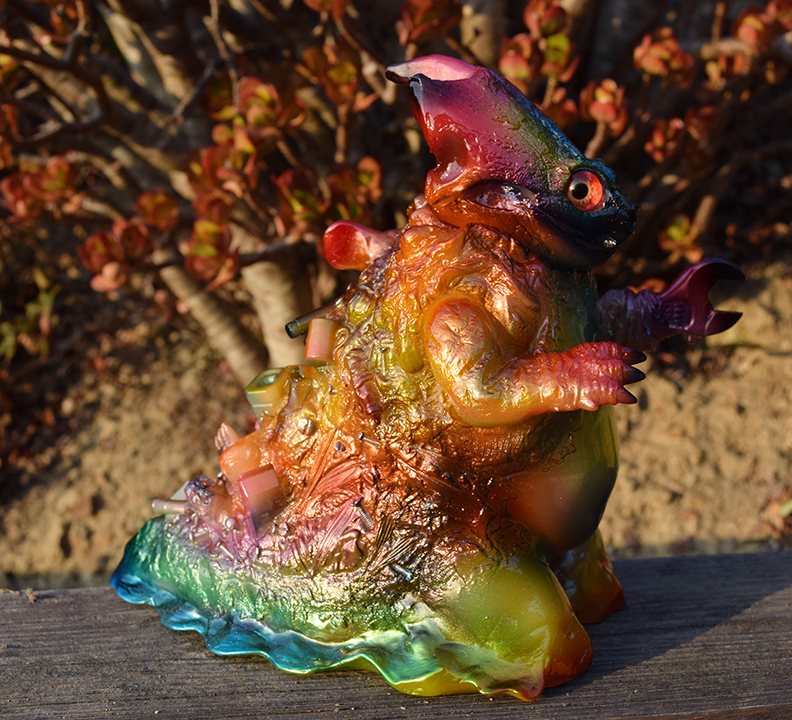 We will be selling Kaiju Taisho in the USA, very soon … so stay tuned ! 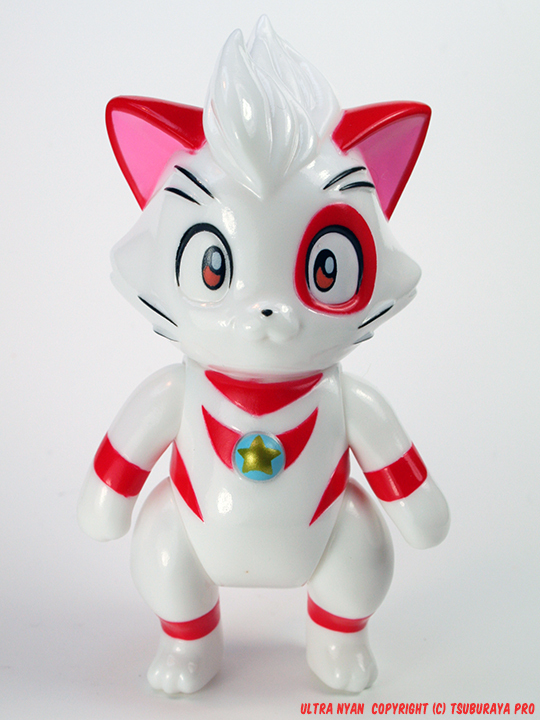 Cool to announce we will have a retro style sofubi of GoNagai’s character Cutie Honey ! 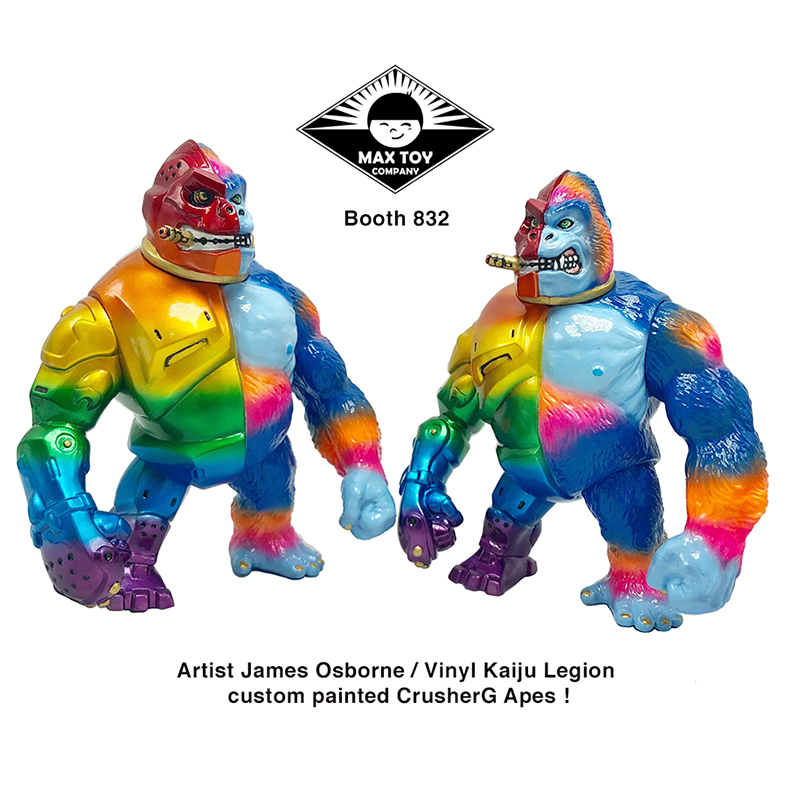 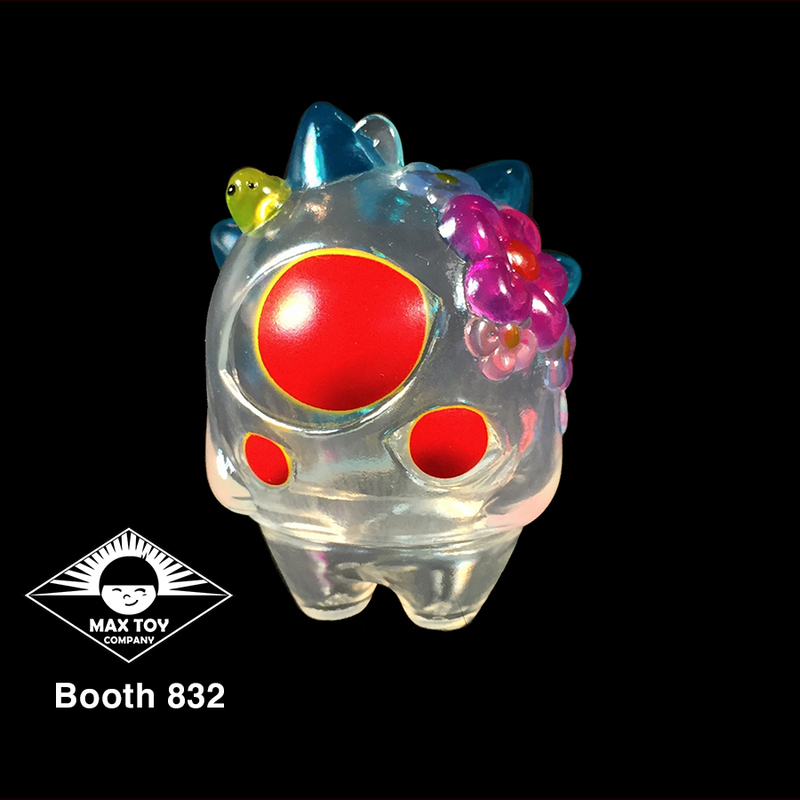 Max Toy x Dynamic Pro ! 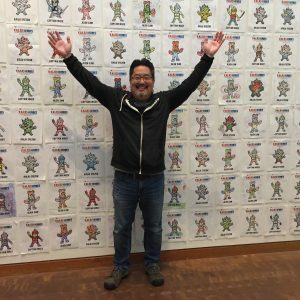 Fully licensed for Japan & the USA ( yay !) 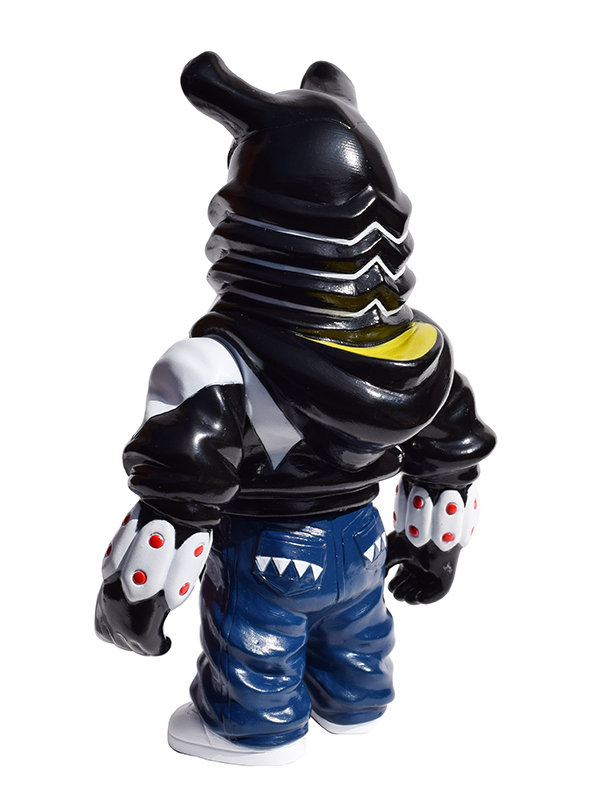 Details soon so look for more info to be posted. 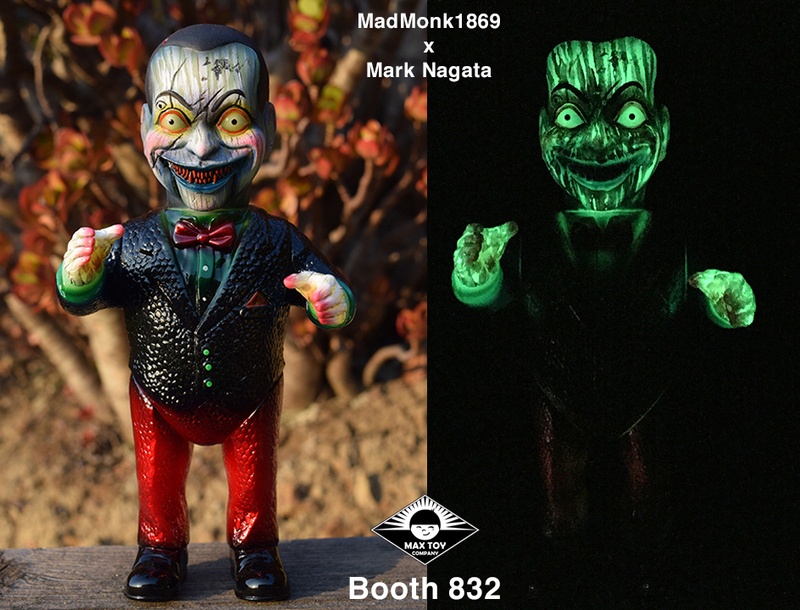 Production and Project Coordination Yo Miyamoto and Figure is sculpted by Makino-san once again to perfection ! 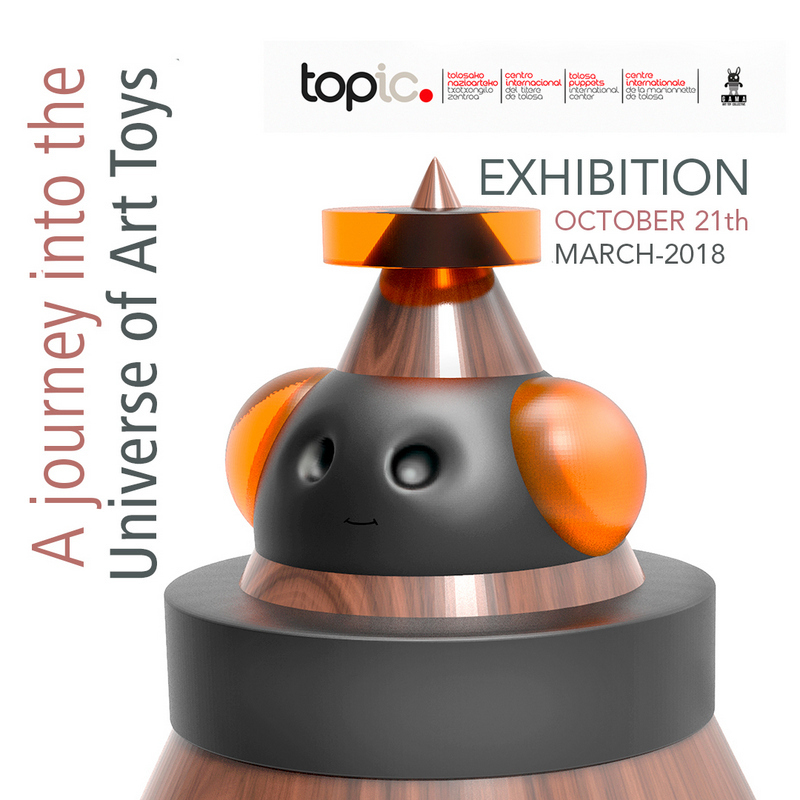 Max Toy / Mark Nagata – Honored to announce we are apart of a select group of toy artists, involved in this upcoming museum exhibit at the TOPIC museum in Spain, curated by Art Toy Gama. 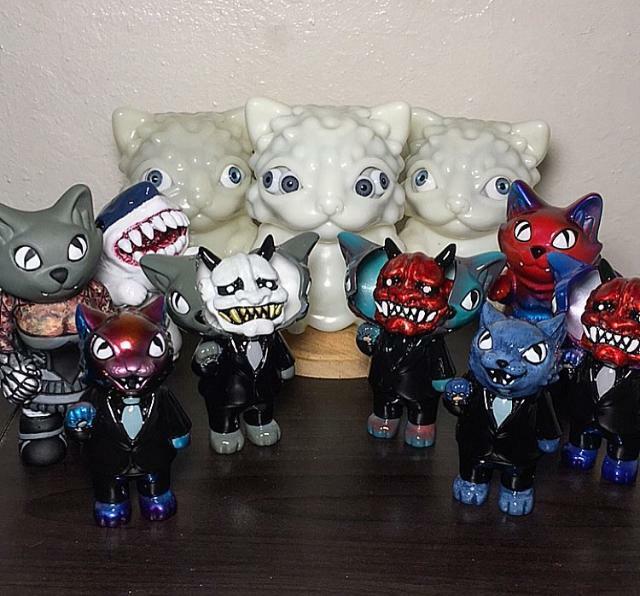 They will announce all the details soon but some of the items will also be for sale. 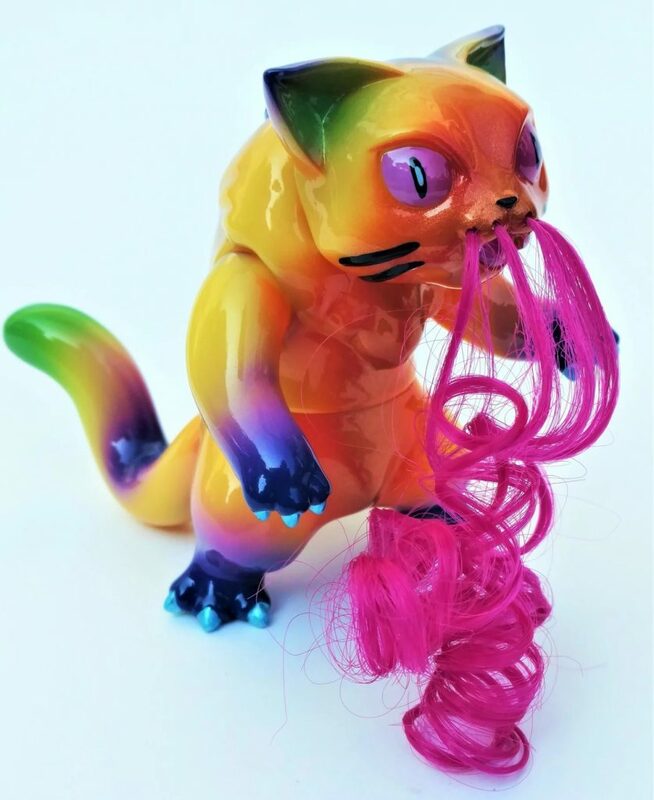 Love the crazy whiskers !! 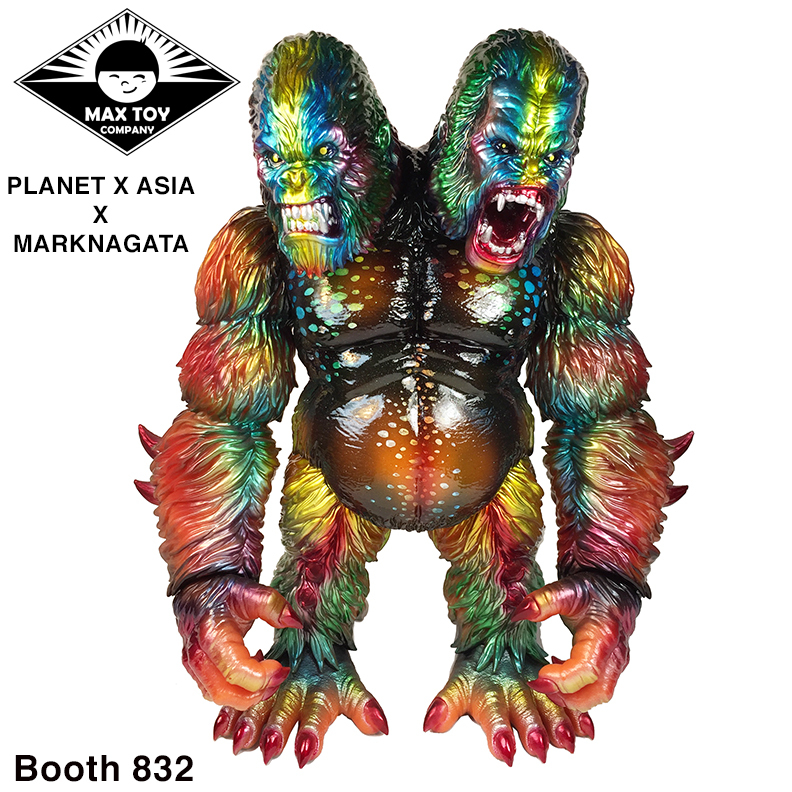 Also, posted a tease of some PlanetX asia customs … look for them at STGCC Singapore and my mini show at DaiKaiju Salon Tokyo. 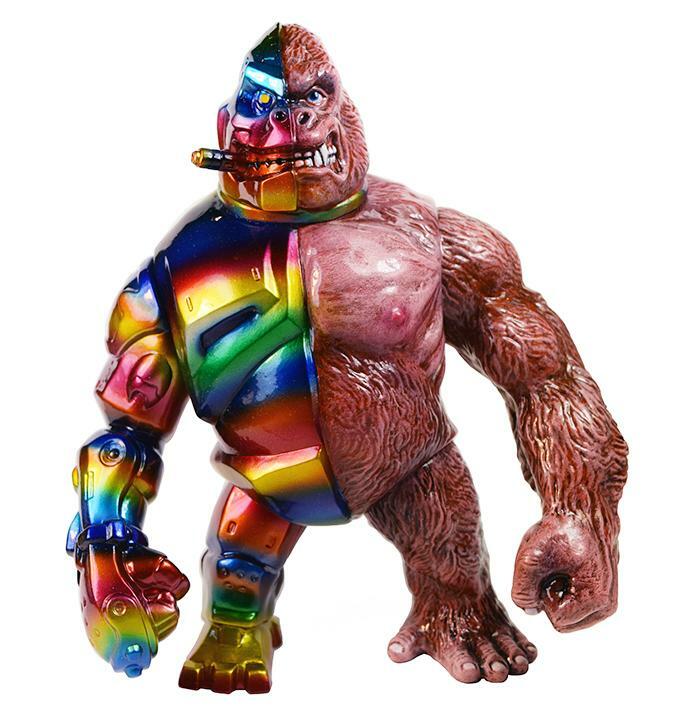 I’ll send out an email about those events next week 😉 Picture below is of the Glow Ettin I did .. 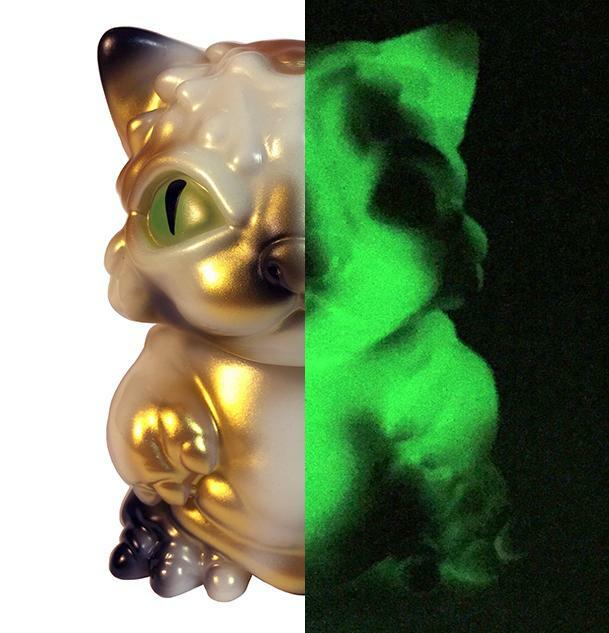 I use thin paints to let the glow show thru, but as you see it still looks good in the daylight ( I think ) haha …! 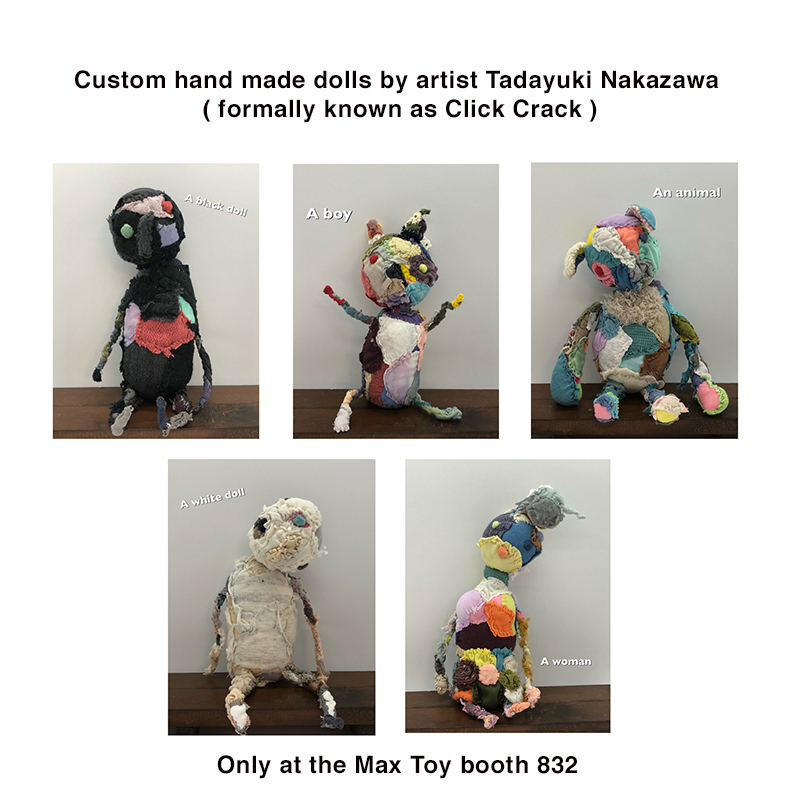 And, speaking of STGCC in about a week I will be a guest and bringing lots of goodies and have a bunch of wonderful collabs to show ! 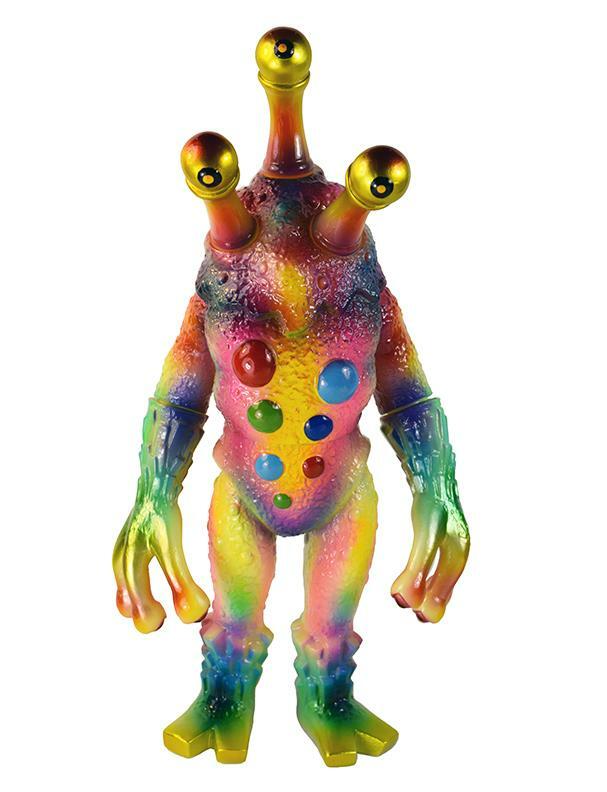 Fingers crossed that we also have two new vinyl “heads” to sell and show .. but more on that next week ! 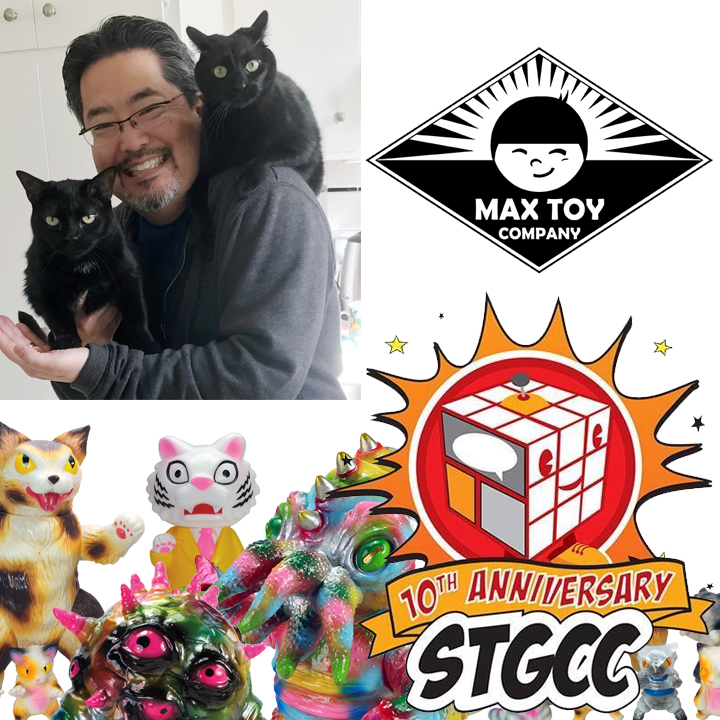 Thanks again for the support everyone as we head into our lucky 13th year !!! 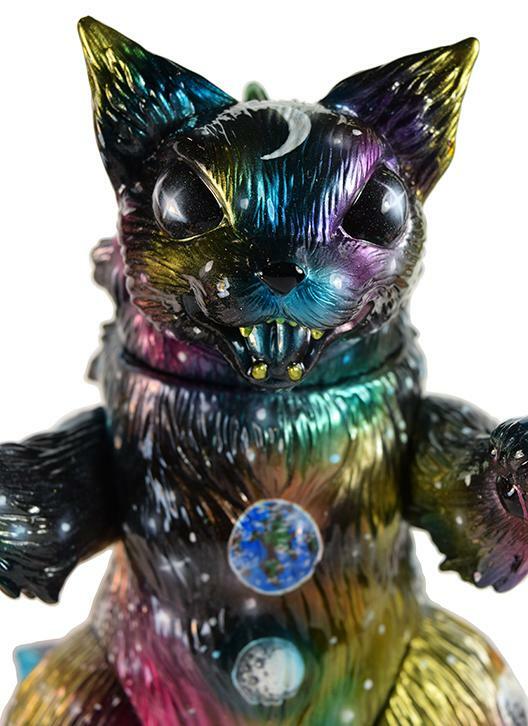 Here’s our second colorway of our licensed Ultra Nyan Space cat ! 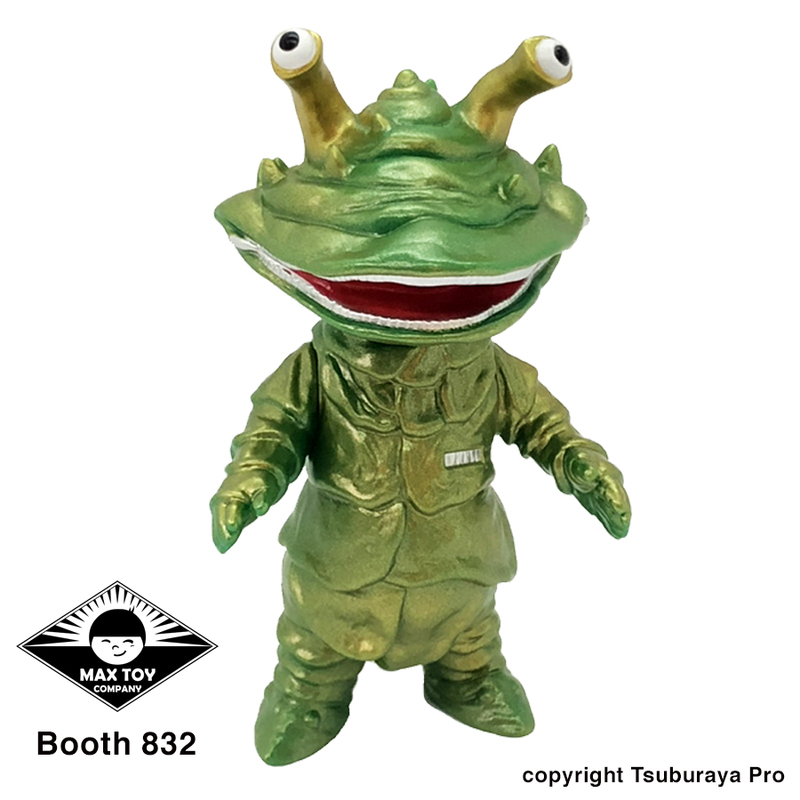 Fully licensed for sale in the USA by Tsuburaya Pro. 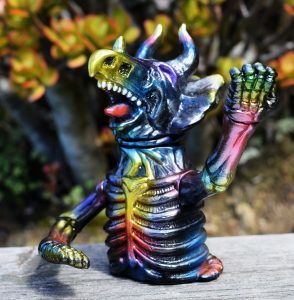 I’m calling this the Dark Star Ultra Nyan 😉 Only a few remain so don’t delay ! 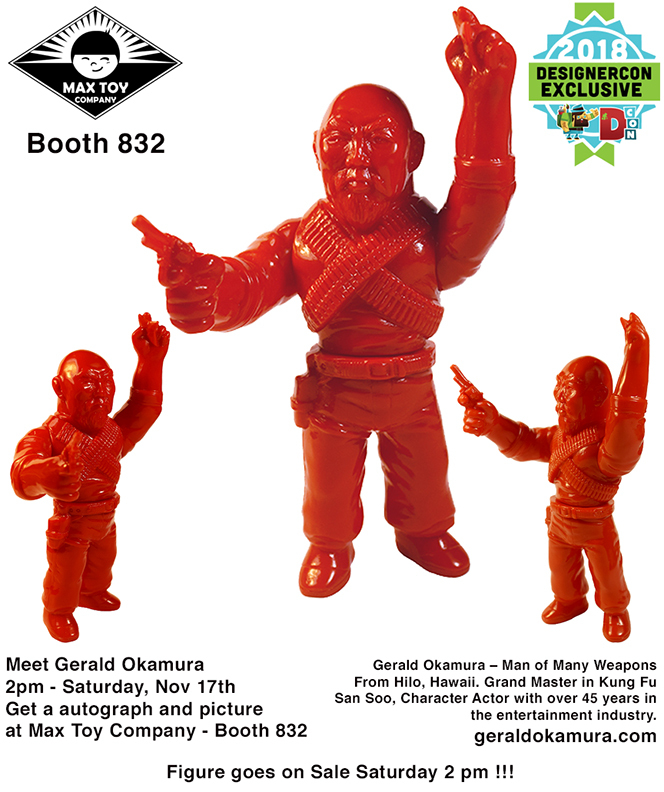 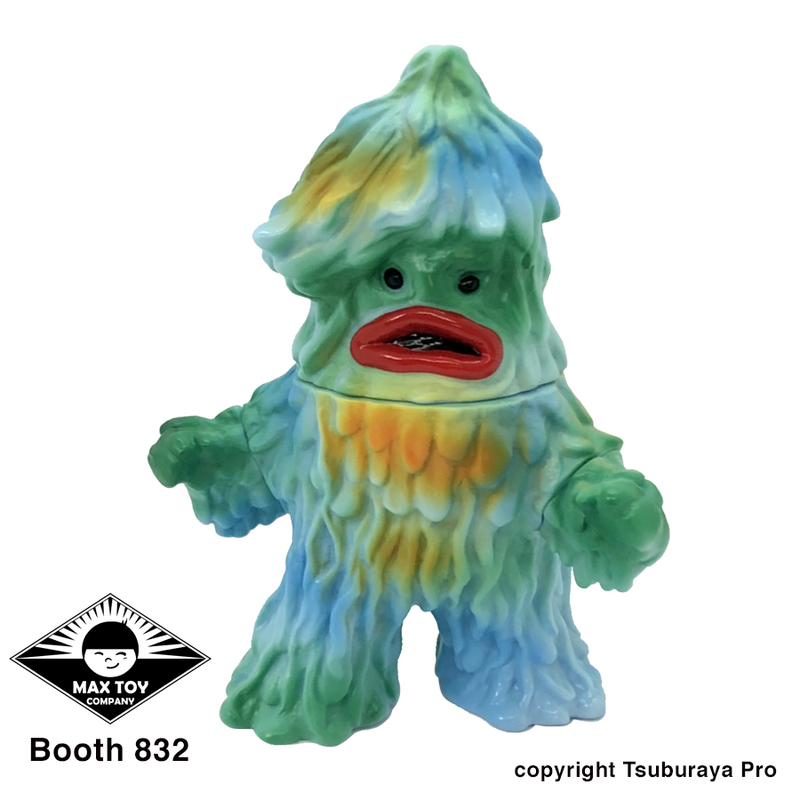 Max Toy x Tsuburaya Pro ! 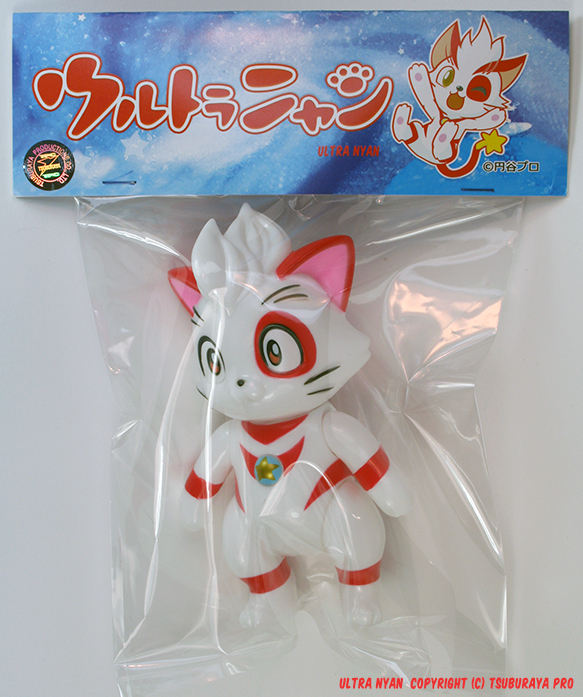 Officially licensed for sale in the USA ! 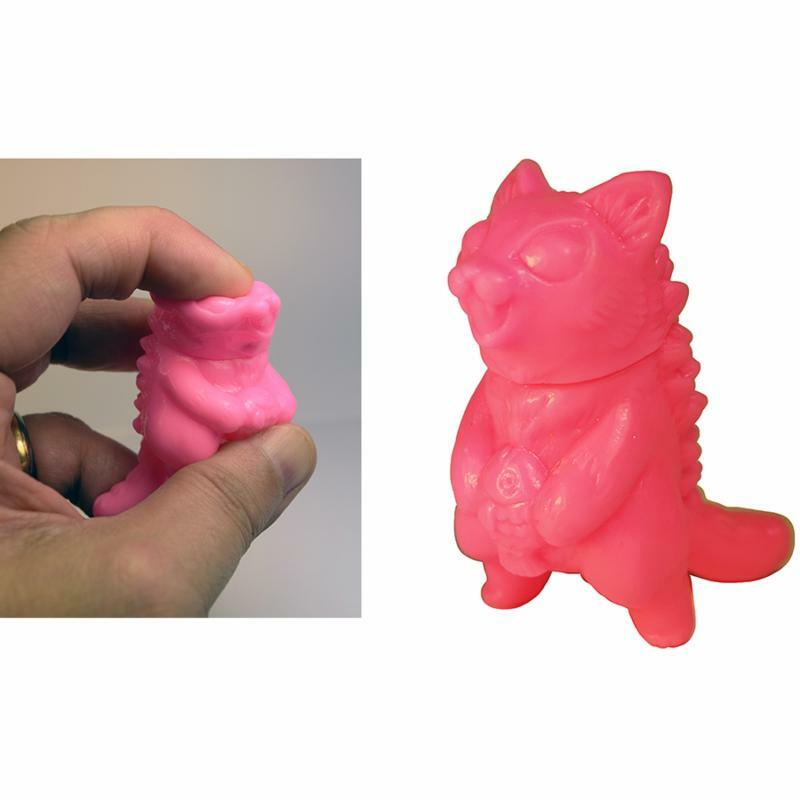 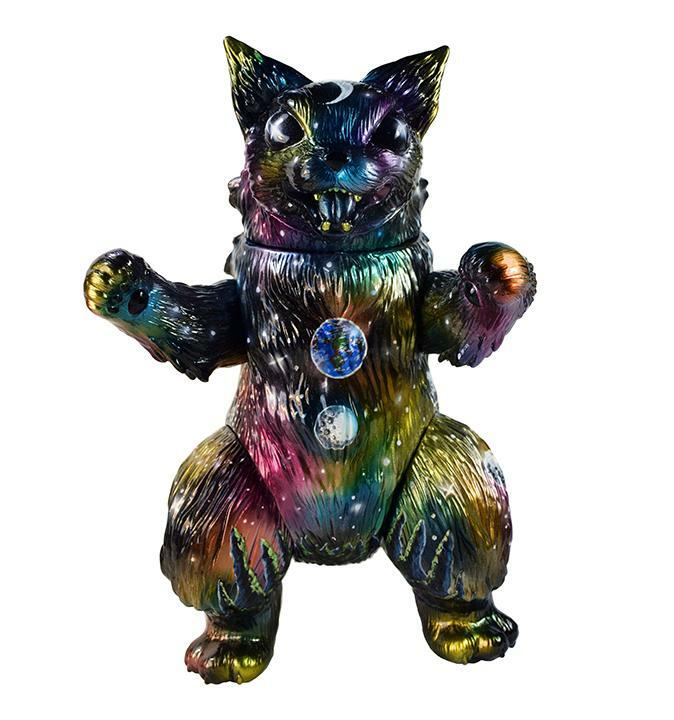 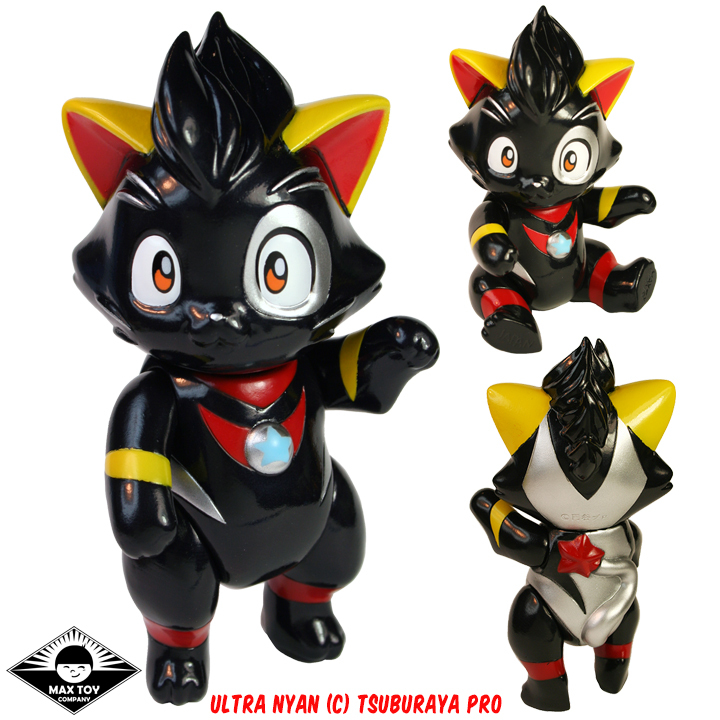 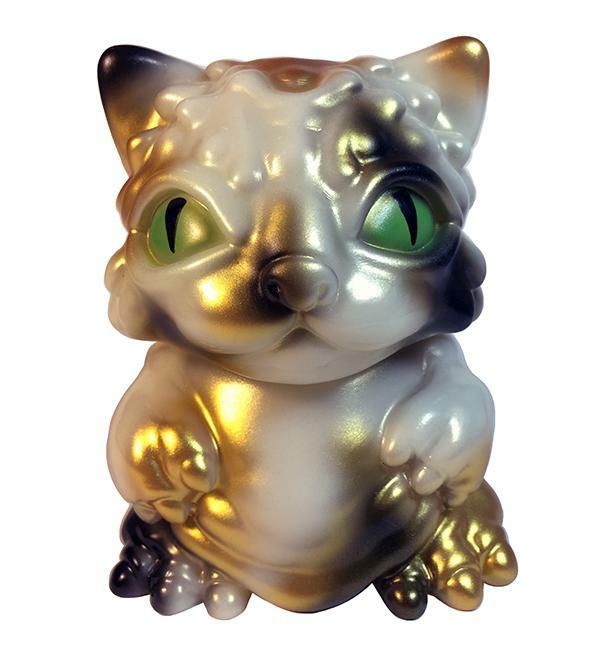 Ultra Nyan is a mini sized ( about 4.75 inches tall ) sofubi figure. 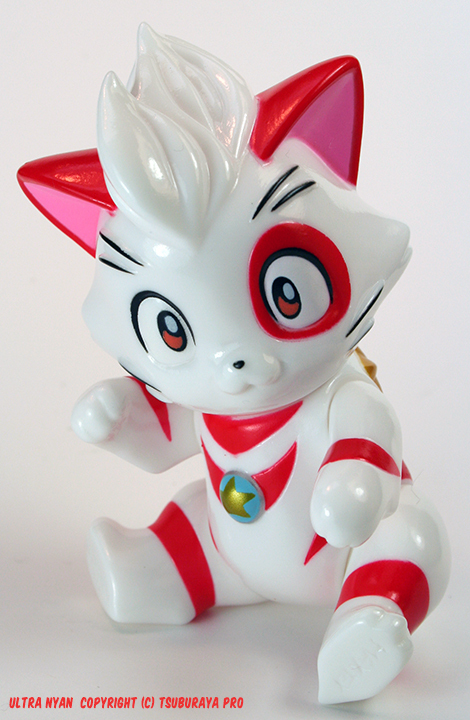 Ultra Nyan was sculpted by Yoshihiko Makino, with production planning by Yo Miyamoto. 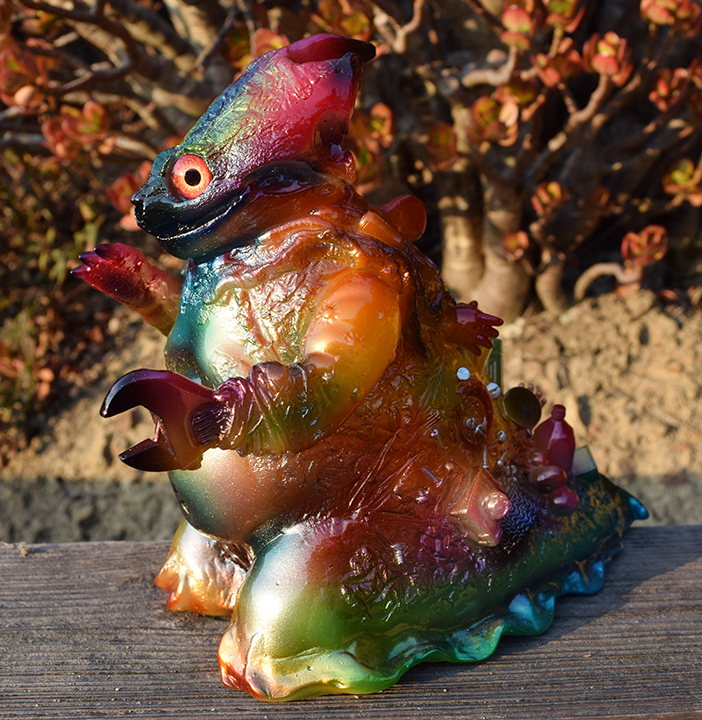 Fully casted, painted in Japan. 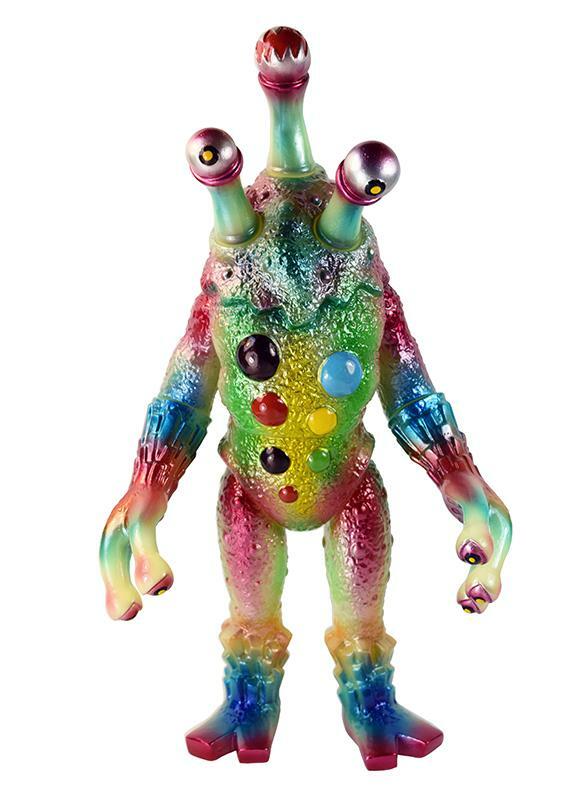 Now in our web store is the first colorway .. but only a few pieces remain !